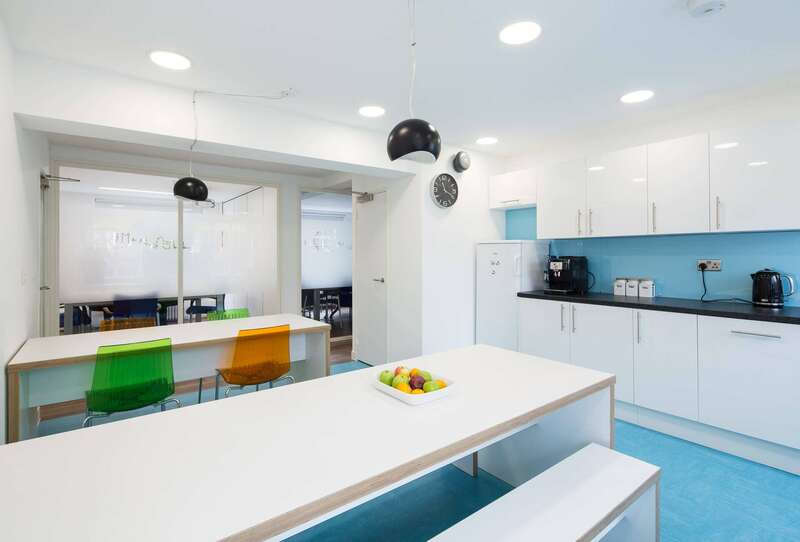 Icelandair commissioned Office Profile to redesign and fit out their London office in a space efficient layout, while incorporating the airline’s brand colour and identity. 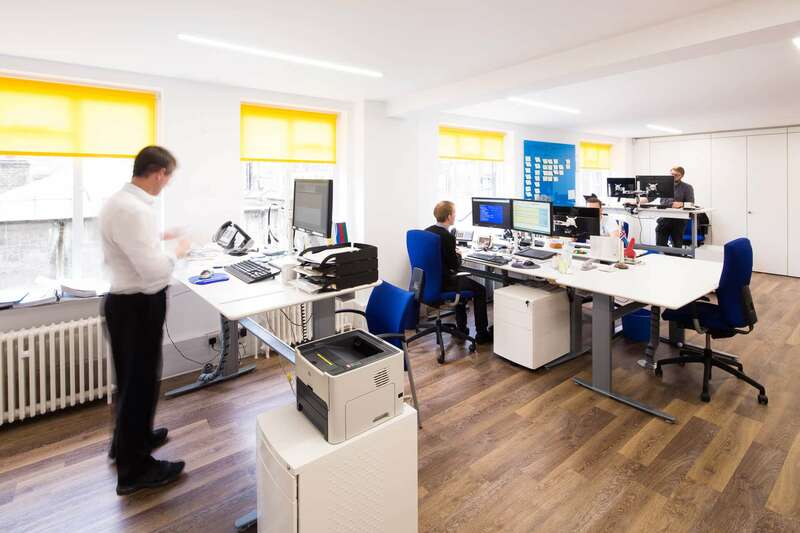 Icelandair commissioned Office Profile to redesign and fit out their London office in an efficient layout with a colour scheme that complemented their corporate branding. 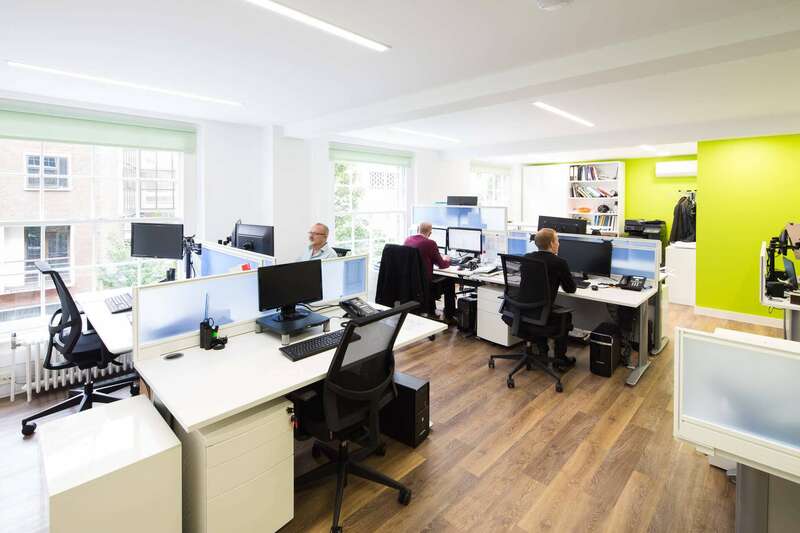 They wanted it to be more space efficient in order to sub-let the smaller office out to another company, whilst still having enough space to accommodate their own employees. 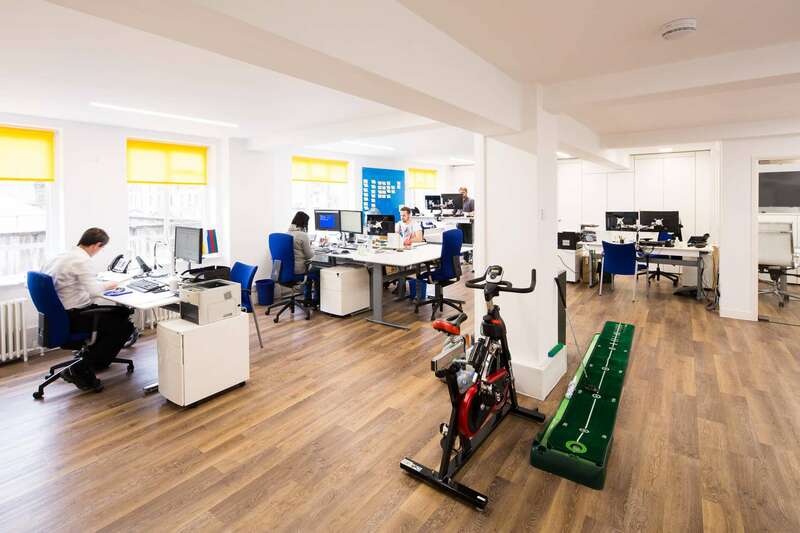 In the office spaces we installed limed oak wood-effect flooring with white desks and StorageWall. 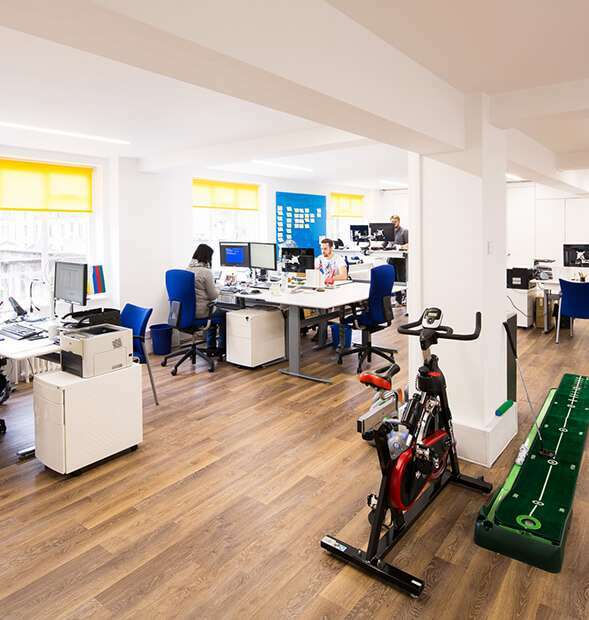 In the main office the blue office chairs brought a pop of colour, and in the smaller office (to be sub-let) the wall was painted a vibrant and cheerful lime green. 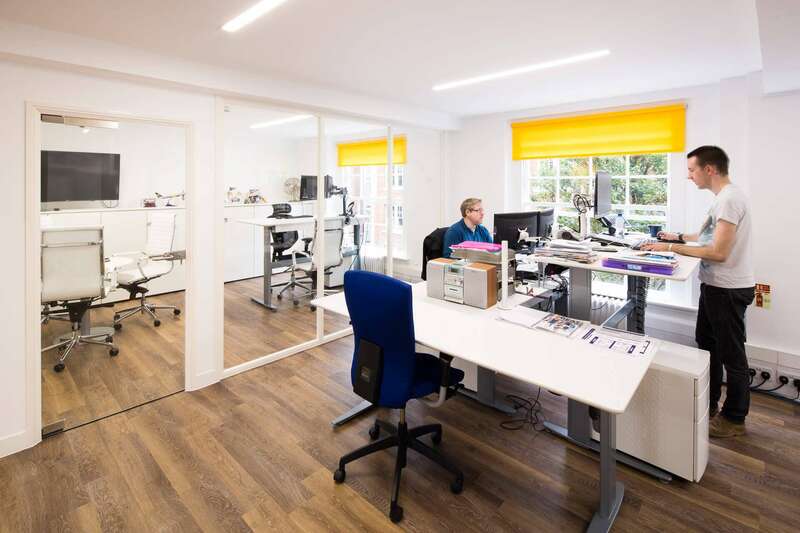 In the director’s office, we installed low StorageWall along one wall along with sit-stand desking with circular white tables complemented by a silver table base. 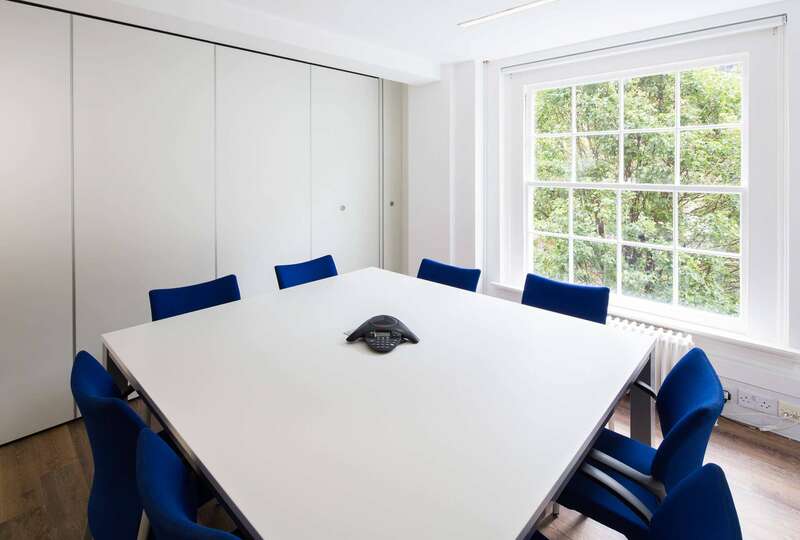 The circular table was for smaller, informal meetings that do not require the conference room, so we paired it with white leather operator chairs with chrome bases. 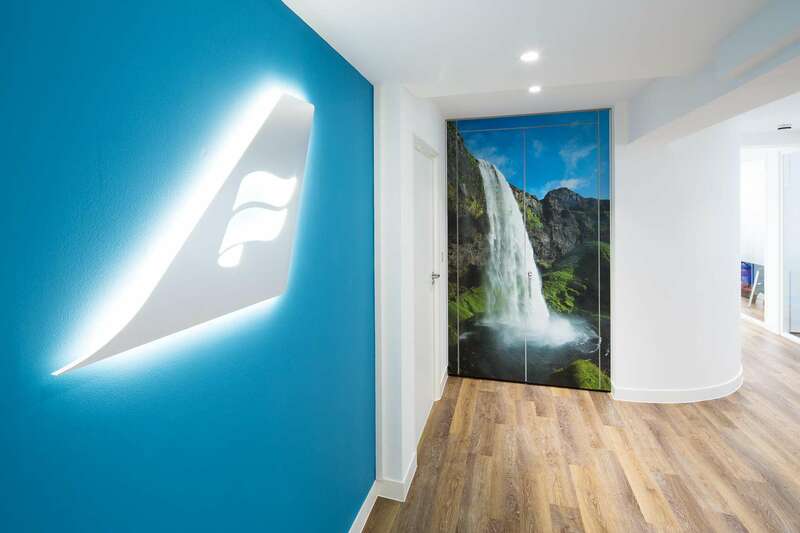 At the entrance we fitted a white composite material Icelandair sign illuminated by LED’s – the sign was manufactured in Iceland and shipped across to the UK. 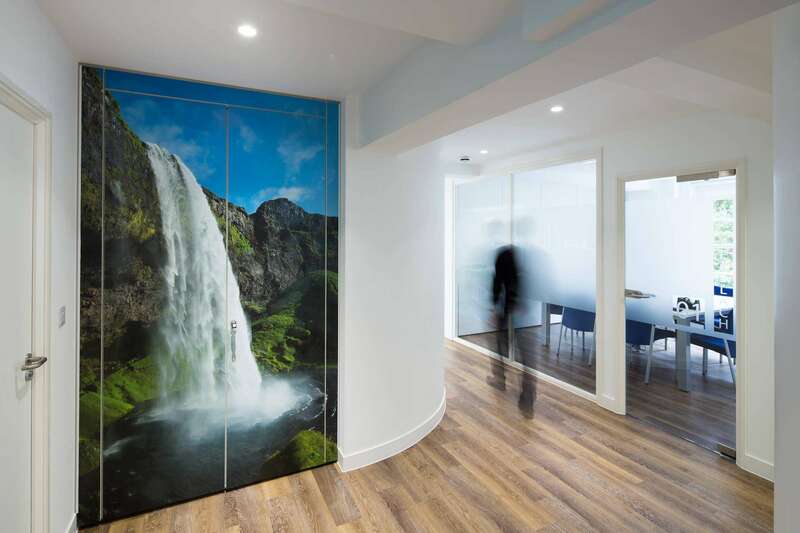 Next to this we applied a vinyl graphic of the Seljalandsfoss waterfall in Iceland to the StorageWall cleaning cupboard that is next to the sign. 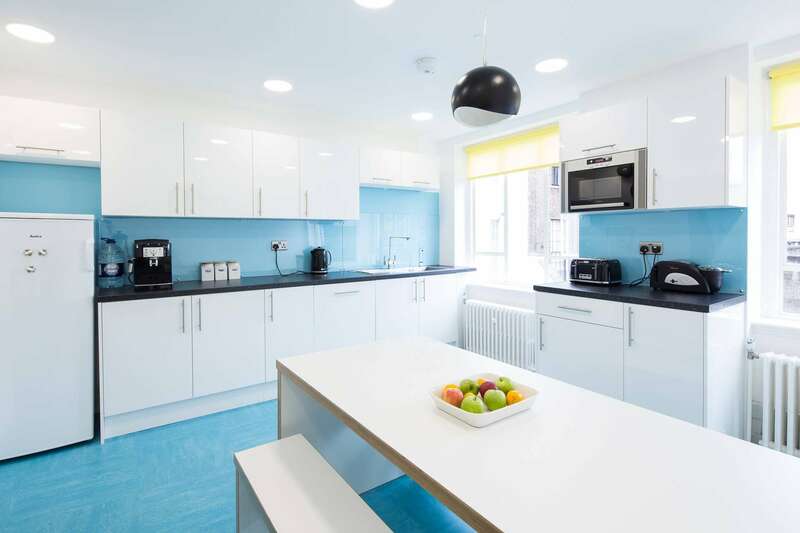 We completely transformed the kitchen area from the previous smaller space into a light, more spacious and colourful kitchen. 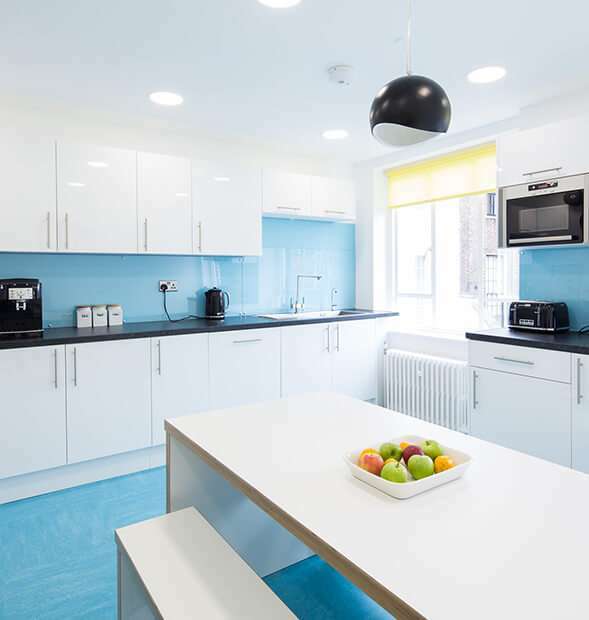 There was also a need for more furniture in the kitchen, so we supplied Icelandair with two of our popular contemporary tables along with coordinating benches and four colourful transparent chairs. 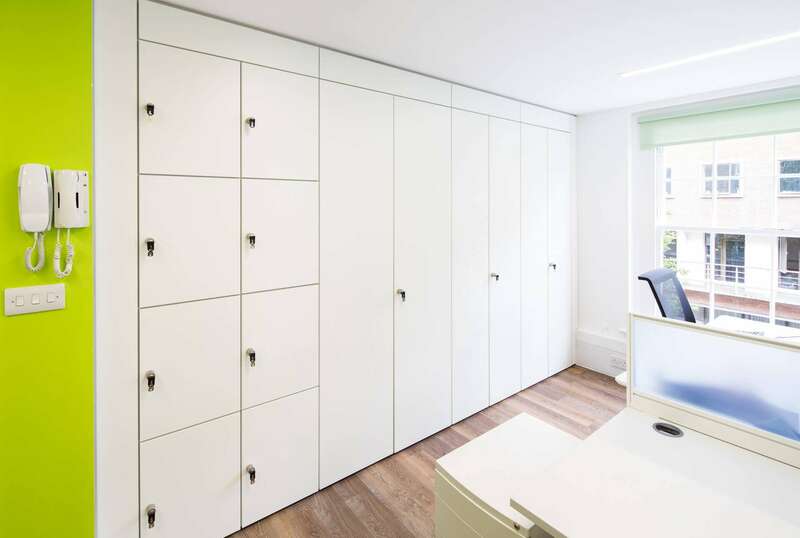 Aside from installing a new cleaning cupboard, we also created and fitted out a shower room. 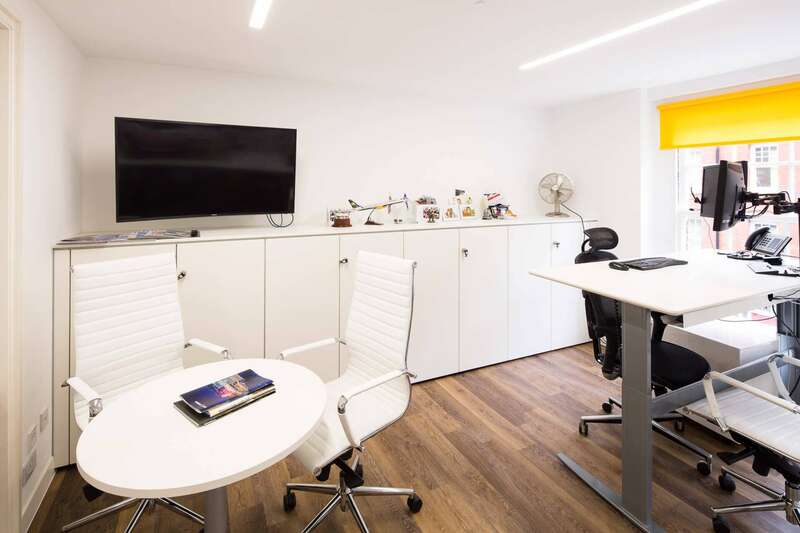 We also thought up the curved wall design throughout the hallway which added interest to the office layout.